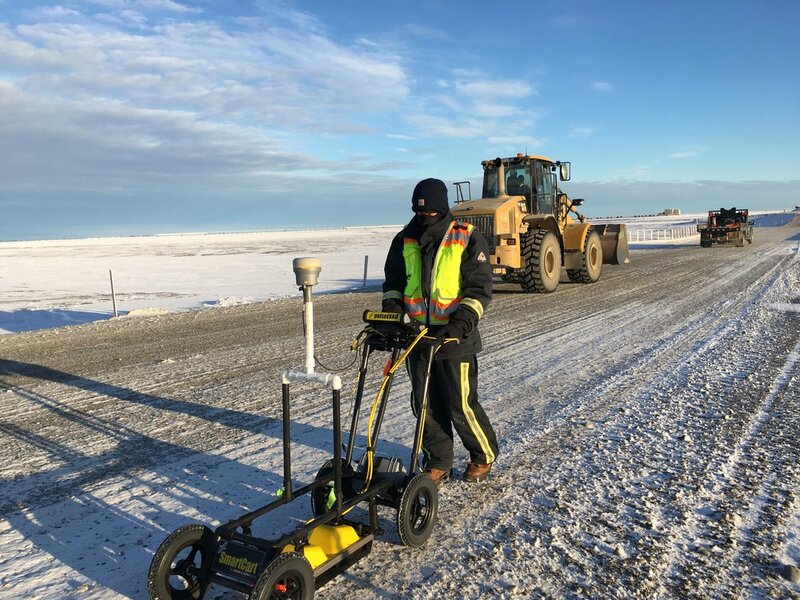 With over 50 years of combined geophysical experience throughout Alaska, North America, and the world, we work with you to understand your project needs and design the most effective and cost-efficient geophysical surveys to provide exceptional results. Logic Geophysics specializes in "extreme geophysics," geophysical surveys in remote, harsh environments with limited resources. From mountainsides to canyons, from Africa to the Arctic, from glaciers to deserts, we've been there and we know how to safely maximize productivity and results. Our commitment to you throughout our projects is Uncompromised Safety, Exceptional Service, and Reliable Results. Logic Geophysics featured by the Alaska Small Business Development Center - check out the story here. Using our advanced processing tools, industry-leading software, and propriety inversion algorithms, we can provide enhanced subsurface information for your project needs. From thin-layer problems to multi-offset radar data analyses, Logic Geophysics has the tools and expertise to post-process your data. We welcome relic and "problem" data sets! We also have experience reviewing previous reports and published data to help you assess their efficacy and usefulness. "Esther Babcock with Logic Geophysics and Analytics was a critical team member on one of our projects for the U.S. Army Corps of Engineers. In order to avoid schedule impacts, Esther understood the need for real-time data processing so that drilling activities could be sequenced after she completed her geophysical surveys. Esther worked tirelessly to conduct the surveys and process the data on site so that we could maintain our investigation field schedule. This allowed us to avoid a second mobilization." "Logic Geophysics' customer support was exceptional from start to finish of the project. Their experience with remote site operations and their focus on safety made for a successful project. Logic Geophysics' expertise and depth of knowledge in the field of applied geophysics was very evident. We highly recommend their geophysical services." “Esther was thorough with all aspects of her work, both in the field and with subsequent reporting. She has always been responsive, incredibly knowledgeable, and a tremendous team player. I look forward to more opportunities to work with Esther in the future; she brings a unique proficiency to the table with an obvious emphasis on safety, delivering high quality products, and providing services on schedule and on budget."